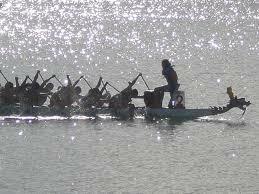 It costs approximately $1,000 for an individual team member to pay the expenses associated with training and participation in dragon boat races. This creates a significant barrier for current and prospective team members. Sponsorship from organizations and individuals to offset these costs is crucial. Sponsorships assist survivors of domestic violence in joining a supportive team of paddlers as part of their healing process. Sponsors will be publicly acknowledged. Your support demonstrates leadership on this important issue to your employees and the broader community. Domestic violence costs employers an estimated $77.9 million annually in lost productivity caused by absences, lateness and distractions at work. Policies and practices surrounding domestic violence are part of an employer’s comprehensive Safety and Wellness strategy and address the legal obligation to provide a workplace free of harassment and threats of violence. Employers have an important role in supporting employees who experience domestic violence. They can have a positive impact on the life of that employee and create a safer work environment for all employees.